You have been charged with planning a party. Whether your party is for a birthday, sweet 16 or quinceañera, anniversary, graduation or retirement, baby or bridal shower, family or school reunion, or even a formal, the things you will need to consider are the same. As you begin the party planning process, two questions must be answered early in the process, since the answers will have a large impact on decisions down the road. When is the Party? You need to establish this first. The answer may be affected by certain guests’ availability and by the availability of venues and vendors that might be servicing your party. Not only that, but you can often save serious money depending on what day of the week or time of day that your party takes place. NOTE: Some venues and vendors discount their price up to 50% when you pick a date or time that isn’t busy! How many people are coming? Once the date is settled, you will need to consider how many people to invite. It's important to remember that not everyone you invite will be able to make it. Generally, you can count on 70-80% of the people you invite to show up. Headcount is important because it will affect all of your other decisions, such as the size of the venue, the amount of food needed, and a host of other decisions. NOTE: The number of people you invite has the LARGEST impact on your budget. Now that you have the two biggest questions answered and out of the way, let’s get planning! How much time do you need to put this event together? This depends on a few things. Often, you are given a hard date, and you must put the event together in that amount of time, so that’s how long it will take! However, if you have some time to plan, how much time is reasonable? We’ve helped millions of people plan their parties, and here is what we have seen for the amount of time required to plan. Note that the biggest impact on time has to do with the number of people coming. Don’t have that much time? Don’t worry! Parties can be planned very quickly. What you may need to do is get professional help, which we will be discussing later. Additionally, hiring a venue that is completely full service can take much of the hassle out of the planning process for you, but will most certainly cost extra $$. Where Will I Have It? By far, price outweighs all other considerations for most folks planning a party. If the party is small enough, many party planners wind up having their event at home, to save money. Note that having your party at home might save money, but will most certainly increase headache. After price, location is important. If at all possible, select a location that is easily accessible to the people coming. If it is out of their way, you will find that the number of “no-shows” will be more than if you selected an easy location for people to get to. Have special requests for your party? Planners found that flexibility was important in the venue they selected. Things like handicap access, ability to bring food, space for dancing are some of the items that need consideration when selecting a venue. 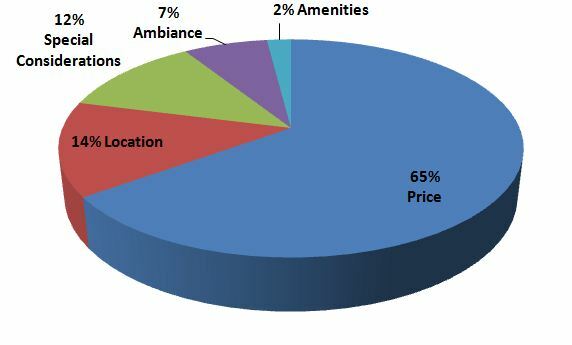 Interestingly enough, ambiance and amenities were the least important considerations. Compared to price, location, and flexibility, they don’t matter as much. That said, it is important to select a venue that isn’t going to kill the vibe you are looking to have at your party. The two things that will cost you the most for your part are the venue and the food. As we’ve stated earlier, trimming down the number of people that are coming is the #1 thing you can do to save money. Other services, such as a DJ or Photographer, do not have rates that depend on how many people are coming to your party. We have thousands of venues and vendors who have given us package information so that you can get a sense of how much you will spend for your party on the venue with and without food. These numbers are very general, and there are many variables to take into account. However, if the numbers in the chart above do not fit into your budget, you will want to find a place to trim. Lowering the number of guests and doing some things yourself are the two biggest ways to trim how much you are going to spend. The two most popular services for a party are DJs and Photographers. You can get either of these for somewhere between $400 and $2,000, depending on how long you need them and what special services you require. Eventective can help you find the venues and vendors you need for your event. Photo booths have become one of the most popular party items of the last few years. 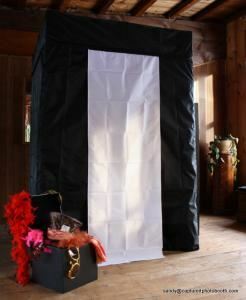 A good photo booth can be rented for $500, and most vendors will pick them up and drop them off at your party for you! Recently, some venues have begun putting photo booths at their venue, and including them in their party package! 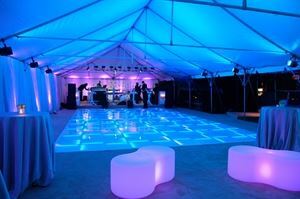 Just coming on the scene recently, a lighted dance floor can turn your party into an amazing affair that people will be talking about for months! Expect to spend about $2,000 - $4,000 for having one of these delivered to your party. Are you a busy person with little to no extra time? Do you have a flexible budget for your party? Do you want your party to be completely organized and professional? Do you have very little time left to plan your party? If the answer to any of the above questions is “Yes,” then you should consider hiring an event coordinator for your party. Often, hiring an event planner can even save you money, as they know where costs can be trimmed and how to do things efficiently. Eventective has helped millions of people plan their events. As you begin your planning process, check out our Party Forum and our other Event Planning Articles for additional resources.